Join us to support culturally specific early learning! We are excited to announce that we are collaborating on two early childhood education bills in the Oregon Legislature this session! HB3069 will create a fund for culturally specific programs focused on early learning. And the other priority (does not have a bill number yet) will create a certification path for Community Education Workers based on the Traditional Health Worker certification model. We have been meeting with lawmakers and will be testifying on the bills in the coming months. We have also hired our first lobbyist to help us work with partners and lawmakers! If you're interested in supporting HB3069, you can join us for a hearing on Tuesday, April 18 at the State Capitol or by submitting written testimony! Families and children of color are a large and growing part of Oregon’s early learning community – 36.5% of all births in Oregon are babies of color! Yet, too often they do not have access to culturally specific programs. Just 16% of Latino children have access to Head Start in their community. Oregon funds many amazing early childhood programs with state dollars, however, only a small number of programs are eligible for this program. Given the growing population, more needs to be done to serve our children of color. Nonprofit organizations with culturally specific programs are most prepared to meet this need. 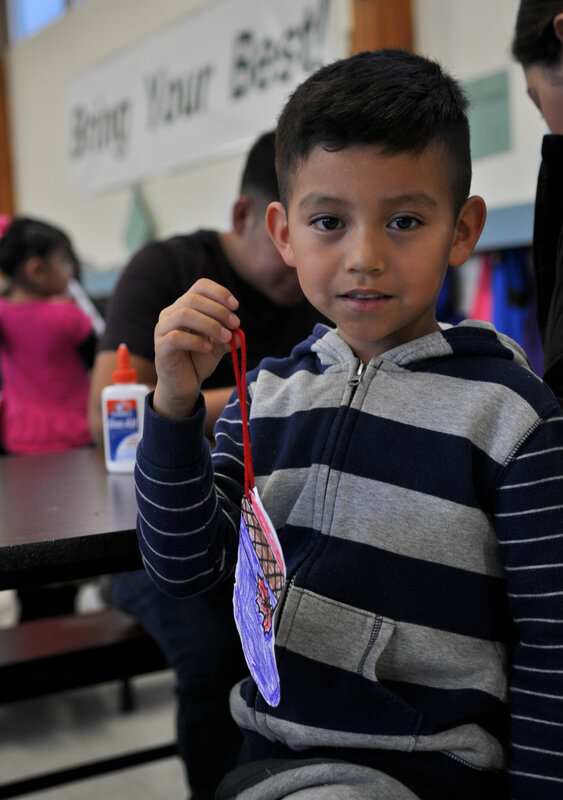 Programs like Juntos Aprendemos at Latino Network and many other culturally specific programs across the state have a track record of supporting school readiness and family stability. This bill will create an Early Childhood Equity Fund, dedicated to funding culturally specific early learning services. If the Oregon Legislature passes this bill, it will be an important step in closing the opportunity gap for our children of color. In the past two years, our Community Education Worker project has seen tremendous results! Today, people who work with young children – from child care providers to preschool teachers to home visitors like our CEWs – are increasingly recognized for their professionalism. We know that training for these early learning providers is critically important. 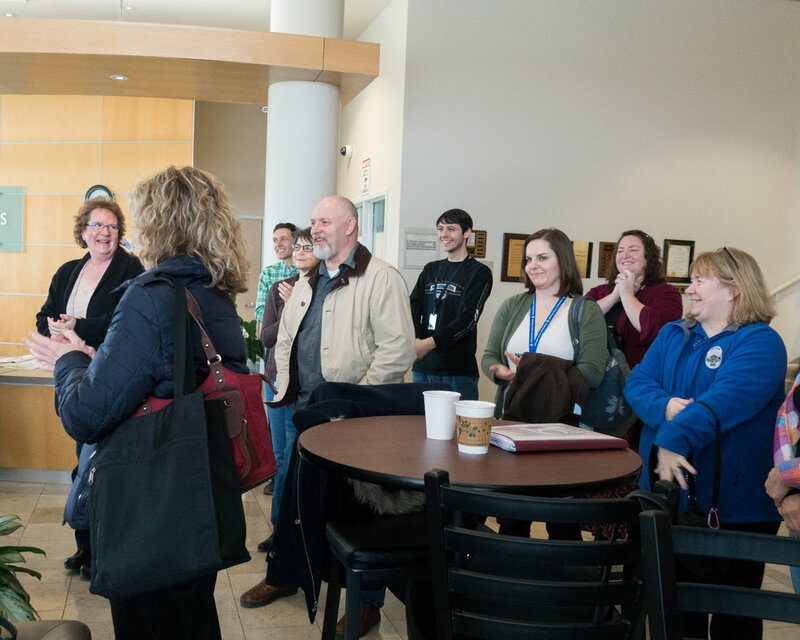 Past efforts, however, have focused on pushing early learning teachers to earn associate’s degrees, bachelor’s degrees, and certifications at community colleges. These pathways are admirable, but they leave many professionals behind. Home visitors, community education workers, family advocates, and others don’t have a path for professionalization. And for people of color or anyone who does not speak English, who face historical barriers in accessing higher education and career training, the difficulties are even greater. This bill will create a certification program for Community Education Workers, modeled after the existing Oregon Traditional health Worker training program. This will ensure opportunities for professionalization while removing other barriers. Want to learn more or submit a written testimony? Contact Sadie Feibel Holmes, Director of Early Childhood Programs. 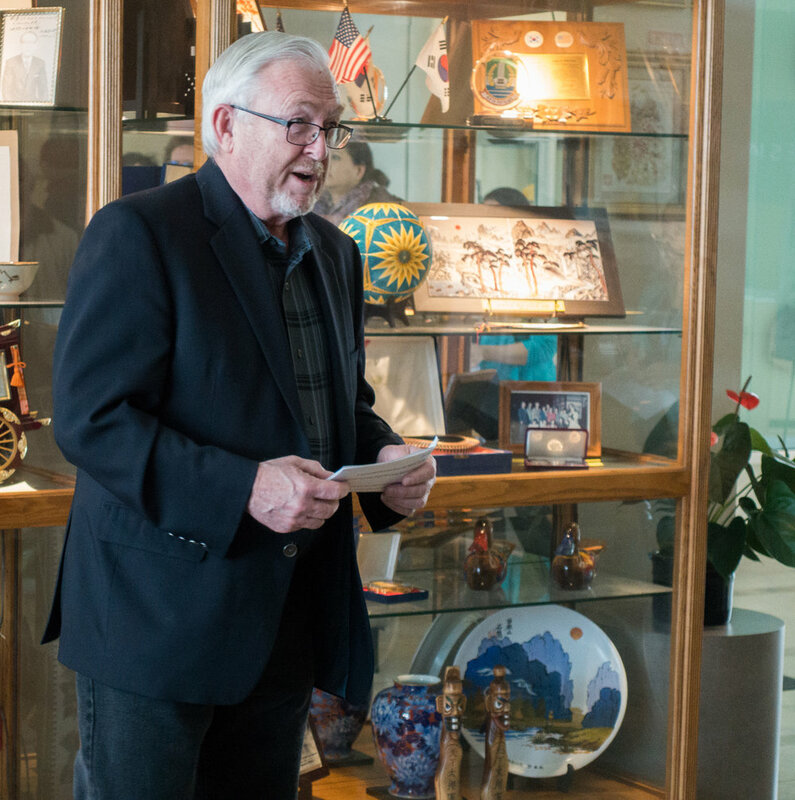 It was amazing seeing our latest project in Gresham City Hall come to life last week! 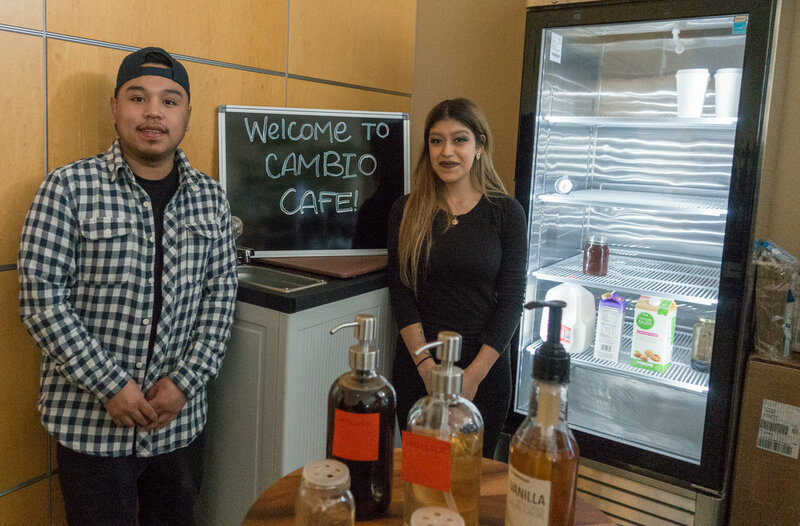 The Grand Opening of Cambio Cafe represents Latino Network's efforts to help start youth's career paths in a positive way. 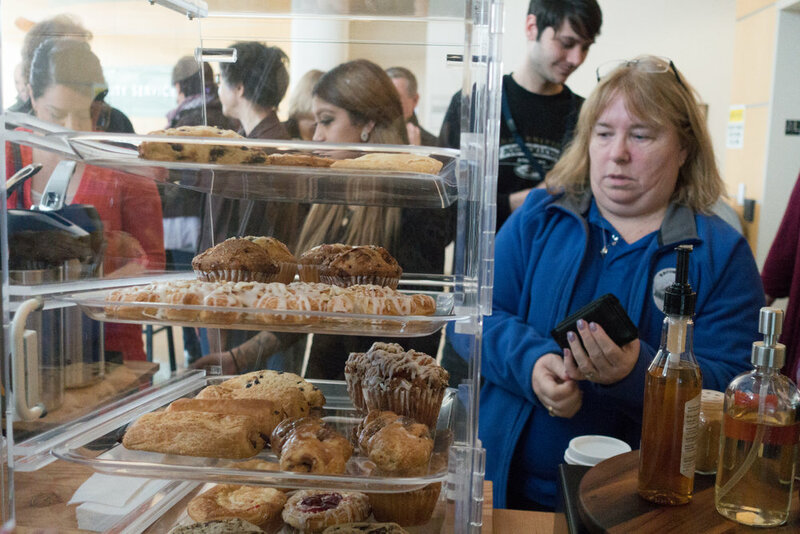 Not only will this coffee cart help teach them important business skills, but they will also learn what it takes to operate a business and have something valuable to put on their resumes. Here are some photos of the big day! Debbie has been on the Family Stability team since summer of 2016. Every once in awhile we like to feature one of our awesome team members who is on the ground doing amazing things in our community. This time, we chose a Latino Network employee who has been working hard to help families achieve their dreams. Debbie Cabrales is a Family Stability Program Coordinator and works for our Community Based Programs. Since she came on board in June, Debbie has worked with countless families to help them with rental assistance, education, employment, and achieving their goals for their children. Q: Where are you from? How did you get into your career path? I am from Woodburn Oregon. 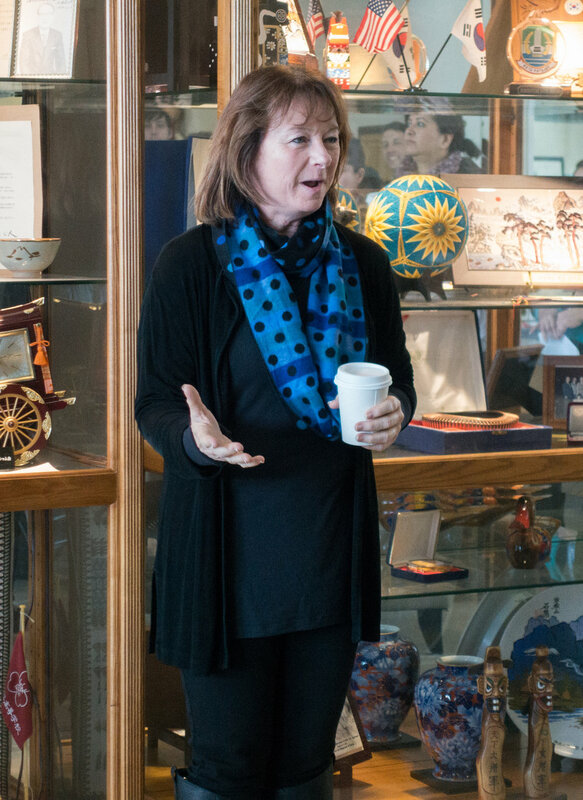 I started this career path when I started going to school at Western Oregon University. When I first went there I thought that I wanted to go into Criminal Justice, but once I took a sociology class, it changed my views and I realized that I wanted to help people and that my passion was in working more directly with the community. Q: What is your family history or heritage? I feel that being a first generation Hispanic/Latina woman has helped me a lot. All of the sacrifices that my parents have gone through for my siblings and I have really opened my eyes in a lot of ways. My parents came to this country from Mexico wanting a better future for my siblings and me, so when I think about motivation I think about my parents and how everything that they did for us is not going to waste. Q: What’s your job at Latino Network like? I meet with community members and families when they need the most support and hope. In doing so, I assist them in meeting their goals to reach stability, provide support with their education, employment and housing, and I also discuss goals for their children’s education and achieving student success. Q: What is a success story that you've witnessed with the people you've helped while working at Latino Network? One of the families that I work with had just moved here from out of state. As soon as I met the family, both the parents and children were extremely hopeful and wanting to do better. While the mother worked, the father went out looking for apartments and would submit applications, and at the same time pick up and drop off kids at school. And soon after, they had been approved for an apartment and were on their way finally being able to have a place to call home. 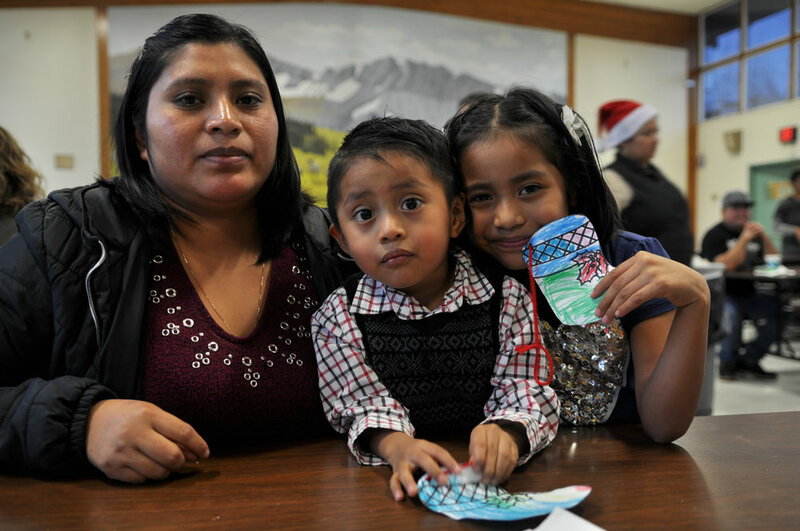 The family was able to celebrate the holidays in the comfort of their own home, and see their children be able to open up presents. These were things that to the family seemed like it would be impossible for it to happen. Now the family is doing great and keeps being positive, they never lost hope and were able to fulfill their dreams and make them a reality. Q: How does your team at Latino Network help engage the community? We do more than just help with rental assistance. We help families by trying to build relationships in order for them to have positivity in their lives. We help them achieve their goals and do anything in our power to positively get them engaged with the community and be a support system that the families need. Thanks Debbie for being such an amazing part of our team and for helping so many families! We are proud to announce three new members of Latino Network’s Board of Directors! Patrick Quinton, Christa Stout, and Melinda Veliz were confirmed as board members in March 2017. Patrick Quinton is the founding principal of Civic Innovation NW consulting firm. Previously, he was the Executive Director of Portland Development Commission. Under his leadership, PDC was the Presenting Sponsor for Latino Network’s annual gala, Noche Bella for several years. We are excited to have his expertise guiding us. Read his full bio here. Christa Stout is the Vice President of Social Responsibility for the Portland Trail Blazers. Previously, she managed the Portland Timbers Community Relations Department. Latino Network is currently a community partner with the Blazers, and we look forward to continuing to deepen that partnership and work with Christa. Read her full bio here. Melinda Veliz works in Public and Community Relations for Legacy Health-Silverton Medical Center. Melinda is a graduate of our Unidos program, Cohort II. We look forward to having her on our board! Read her full bio here. How can we better serve our families in the community with infants and toddlers? How can we serve families who are unable to make it to existing services in schools or community centers? One of Latino Network’s newest programs began with that question in 2014, posed to a group of community members and nonprofit staff. Creciendo Juntos (Spanish for Growing Together) serves families with children ages birth to three through home visits and small group parent-child development classes. Though many early childhood programs exist, including our own Juntos Aprendemos, this program fills a gap in ensuring that families are able to receive one-on-one assistance in their own home on a regular basis, from a community member who speaks the same language. The program focuses on very young children. The program trains community members as community education workers, drawing on the principles of community health workers, to be able to deliver developmentally appropriate early childhood lessons for parents and young children. They also offer 10-week series of classes for parents to attend with their infant or toddler to learn more about child development. In the past year, Creciendo Juntos staff have helped families facing housing instability due to rising rents, connecting them with services for rent or housing assistance. Staff screen toddlers for developmental delays, and can help parents connect with services if a child is in need of additional health or educational help. And staff listen to the concerns of the parent and help them navigate issues as they arise. 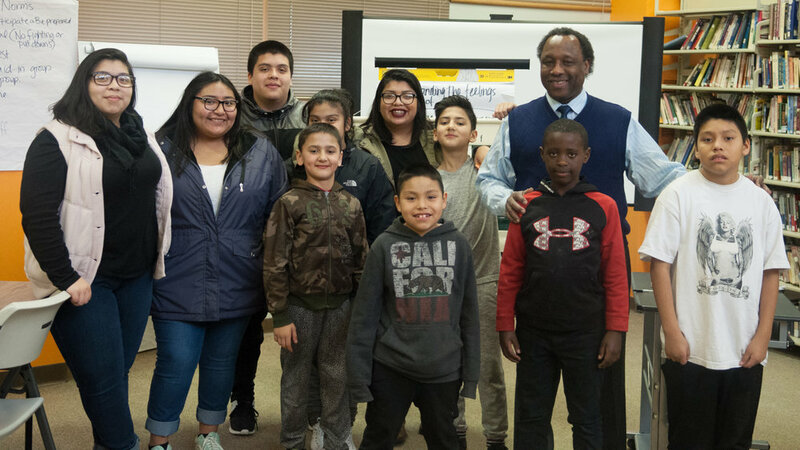 The Community Education Worker (CEW) program – Latino Network calls its program by Creciendo Juntos - was launched as a partnership among culturally specific nonprofits in Portland, in collaboration with the Community Capacitation Center. The program has been funded by the state through the Early Learning Multnomah hub. Currently, Latino Network, the Native American Youth and Family Center (NAYA), Immigrant and Refugee Community Organization (IRCO), and the Urban League provide services to families in their respective communities of color. 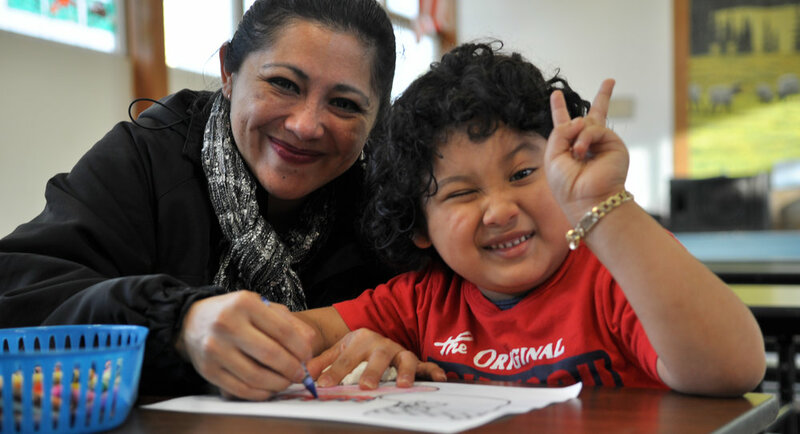 Together, our programs serve families who speak 13 different languages at home! The three most common languages spoken are English, Spanish, and Somali. Together, we served 175 families in 2016 with more than 1,100 home visits! Around 60% of these families report having an income of less than $25,000. So far 2017 has been a year of adversity, but at Latino Network, we see this as an opportunity to come together in support, acceptance, and advocacy with and for our Latino communities, and all communities of color. This is why we’ve created two resources pages – one for our amazing advocates and another for families who need resources and support – for our communities in Portland and the entire state of Oregon. Our Community Resources page is dedicated to providing as many resources as we can to families and individuals with immigration or citizenship concerns. Here, you can find downloadable documents that will help you with preparing your family for an emergency, a list of immigration and family attorneys, and many links to “Know Your Rights” resources that will help you stay safe. All documents, links, and resources can be found in English AND Spanish. We have made every effort to ensure these documents contain accurate information. Our Take Action page is a resource for advocates who want to get involved in making our country safe for immigrants, refugees, and minority communities. You’ll find a comprehensive list of all of local, state and federal Oregon lawmakers, links to policy and advocacy resources, and a button to signup for our advocacy alert email list. 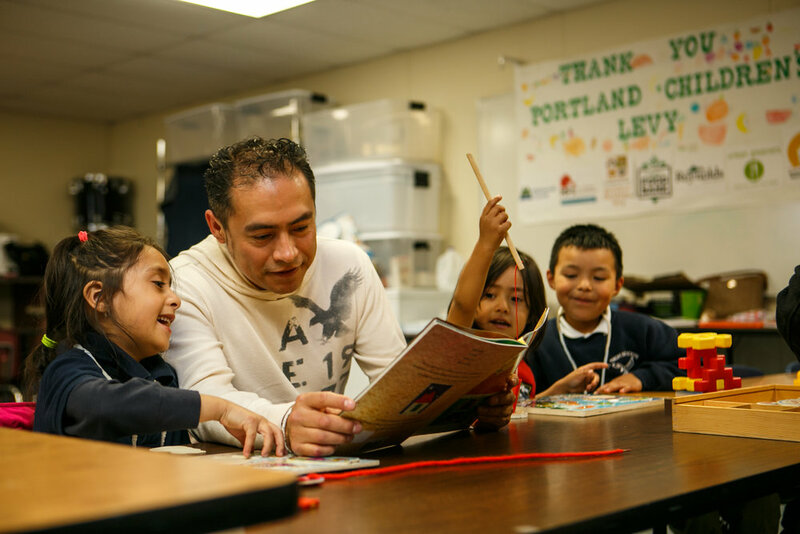 Our goal is to continue to empower ALL communities in Portland by providing resources, services, and support for individuals and families who need help and advocates who want to join our cause. We hope that these two pages will empower you, your family, and your community to make our country safe and equal for everyone! At Latino Network, we are always trying to find new and fun ways to recognize the people who are on the ground making a difference in our community: our staff. That's why we're starting a blog series that features our employees who are doing amazing things with youth, families, and communities here in Portland. To start, we're featuring our very own AmeriCorps Vista, Thalia Garcia-Aguilar! Thalia became our AmeriCorps Vista and Volunteer Coordinator in August, 2016. Thalia helps coordinate all of our volunteers at Latino Network. From recruitment to training, she's the one who helps our organization connect with awesome people in the community who want to volunteer their time with our programs. 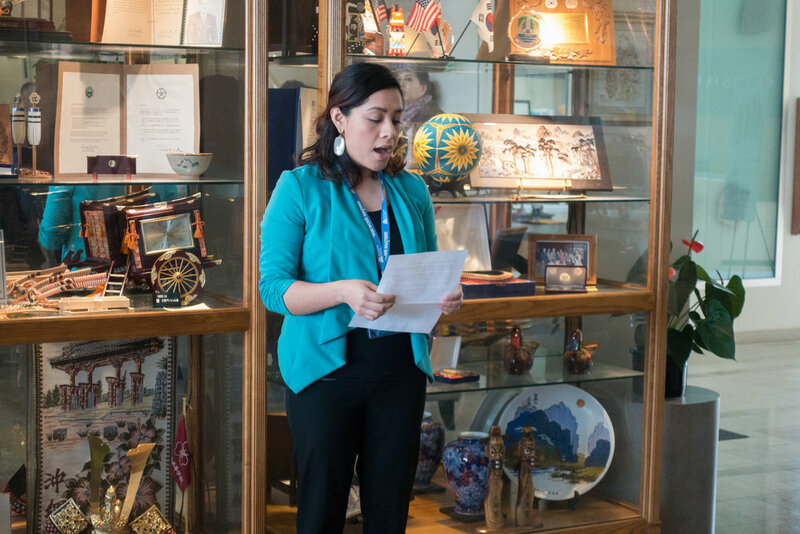 Before she became our AmeriCorps Vista, Thalia was with Latino Network as an AmeriCorps Summer Vista, helping our School Based Programs in our Ninth Grade Counts summer program. In August 2016, she became our resident Vista and started her volunteer coordinating position with us. Question: What motivated you to go into AmeriCorps? Thalia: Throughout my undergraduate schooling I meet a lot of people who told me about their experiences in AmeriCorps and it seemed really rewarding. I also remember receiving different job offers right after graduation, but none of them fit according to what I thought would be my next step in my career, so I joined AmeriCorps. Once I got involved I knew it was the right choice. Question: What do you think about working for Latino Network? Thalia: I ran across Latino Network during my undergraduate studies at Warner Pacific. The people I met were great and because I'm a first-generation Mexican-American, working here feels familiar. There's a lot of parallels between working at Latino Network and the family atmosphere I grew up with at home. Question: What are you studying in school now? What would you like to do with it? Thalia: I received my B.S. in May 2016 in Social Entrepreneurship. I originally wanted to get my MBA, but after working in the 9th Grade Counts program this past summer, I decided to pursue my Masters in Education. I don't know what my dream career is, but it definitely involves running a business in the interest of education, social justice, and diversity. I also would love to travel throughout the country and teach schools how to dismantle systems of oppression and become more inclusive and equitable environments. Question: What's a success story that you've experienced while working at Latino Network? Thalia: During my Summer Vista service with 9th Grade Counts, I connected one of my students who was into skateboarding with a friend of mine who was starting up a skateboarding company called Quartet. I asked him for Quartet stickers because my student liked the one on my water bottle. I told him how passionate my student was to learn how to skateboard, and how he was a great leader in the classroom. He was one of my students who can rally this peers together and often would help get his peers to be involved in activities. My friend gifted a skateboard and t-shirt to my student because of the student's initiative to lead and make a difference. Months later, I got to meet my former student's mother. She wanted to let me know how well her son was doing in school and how meeting my friend has motivated him to graduate high school. He's also getting better at skateboarding! 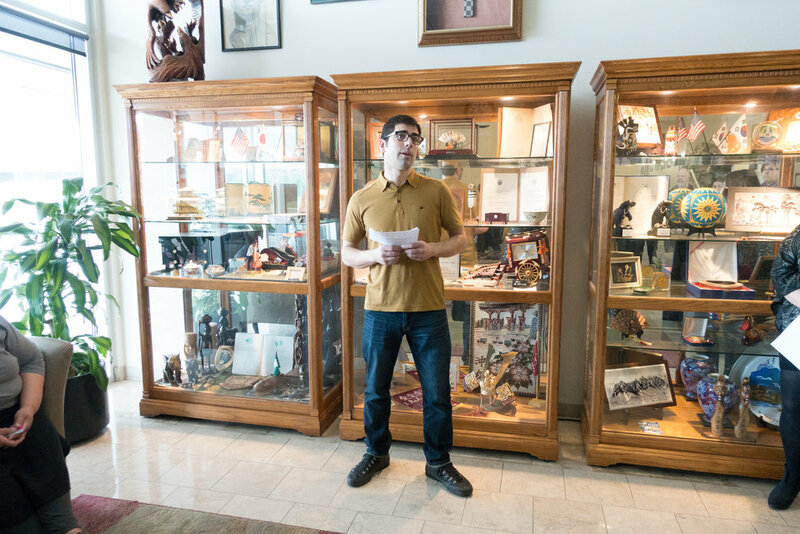 It was amazing to create the connection between the student and my friend, and to help foster a passion within the student that inspired him to succeed. That's what education is all about, and that's what I plan to do in the future! Thank you Thalia for your amazing work at Latino Network and your passion to help the community! We can't wait to see what you'll achieve in the future! Pan's Labyrinth - A Success! What a successful night for Ollin: Social Justice Film Series! Thank you to all who attended and supported this inspiring event. It was wonderful to see the movie theater almost sold out! We raised $1,600 last night, and ALL of it will go toward our advocacy efforts! After we showed Pan's Labyrinth, Commissioner Nick Fish and Latino Board Chair Maria Elena Campisteguy led an enriching discussion about how everyone in the community can take action and fight for social justice. Maria Elena Campisteguy and Nick Fish lead the discussion after Pan's Labyrinth. Topics of conversation included how we can pledge to take action, ways to stay involved in the community, and how we can work with our local government to ensure rights for everyone. Arts & Culture Manager - and organizer of this event - Joaquin Lopez discusses how Pan's Labyrinth relates to our current political circumstances in the U.S. Thank you to The Hollywood Theatre for hosting, and thank you to our featured discussion leaders! See you in March! We’re coming together to advocate for social justice through film and discussion, and we want YOU to join us. 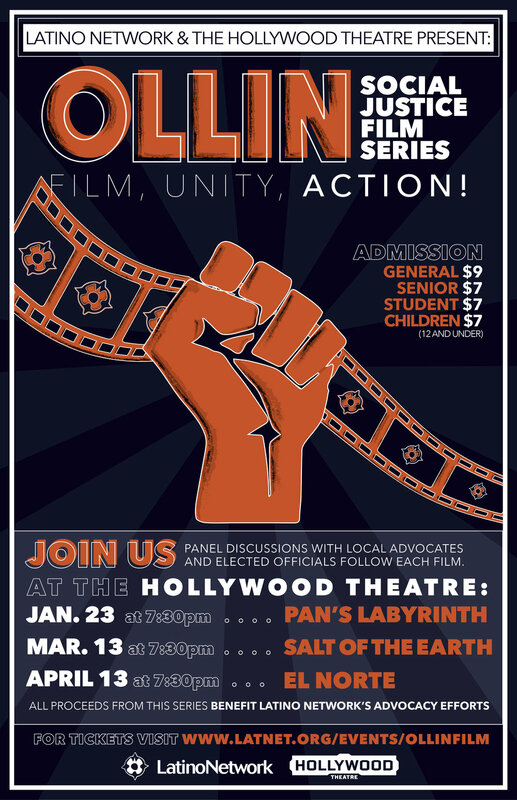 Ollin: Social Justice Film Series aims to unite communities, begin important discussions about social justice, and advocate for the rights of everyone - all through film and community-led discussions. On January 23rd at 7:30pm, we will be showing Pan’s Labyrinth at the Hollywood Theatre, and Commissioner Nick Fish will join us in responding to the film's social justice themes while commenting on policy, advocacy, and leadership in our communities. In the Hollywood Theatre lobby before the film, Latino Network will have a table with opportunities to volunteer, donate and/or learn how to become involved in making a collective impact for the success of Latino youth and families. As 2016 ends, we wanted to reflect on some of our favorite moments from this year. 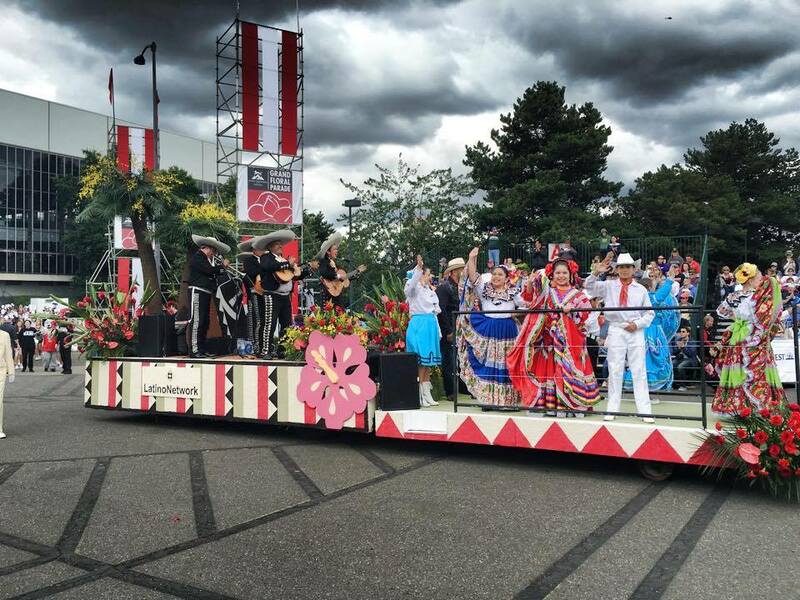 #6 - Latino Network Ballet Folklorico Featured in the Rose Festival! 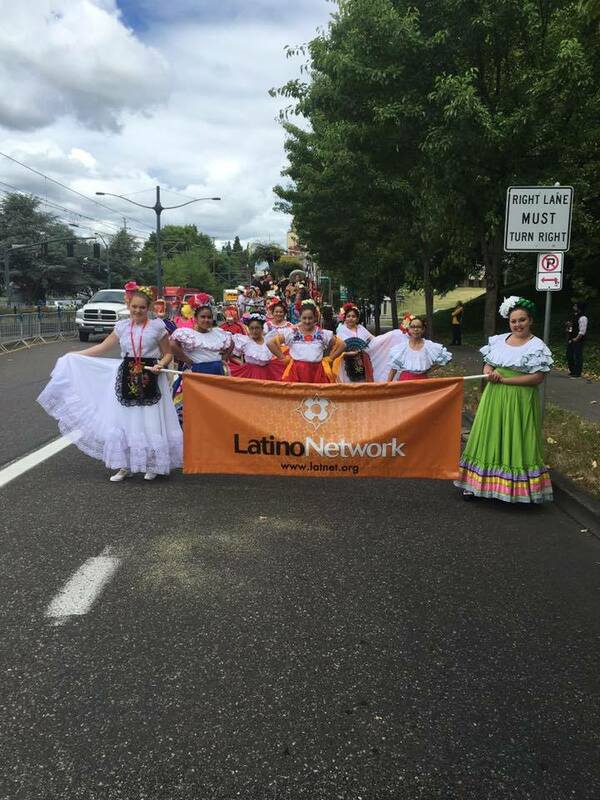 Our youth dance group, Corazones Algres, was invited to participate in this Portland tradition. Youth rode on the float and danced along the route to the music of Edna Vazquez and her mariachis. Zumba Instructor Gisela Contreras led parents in Zumba along the way as well. See more of our Rose Festival photos on our Facebook! 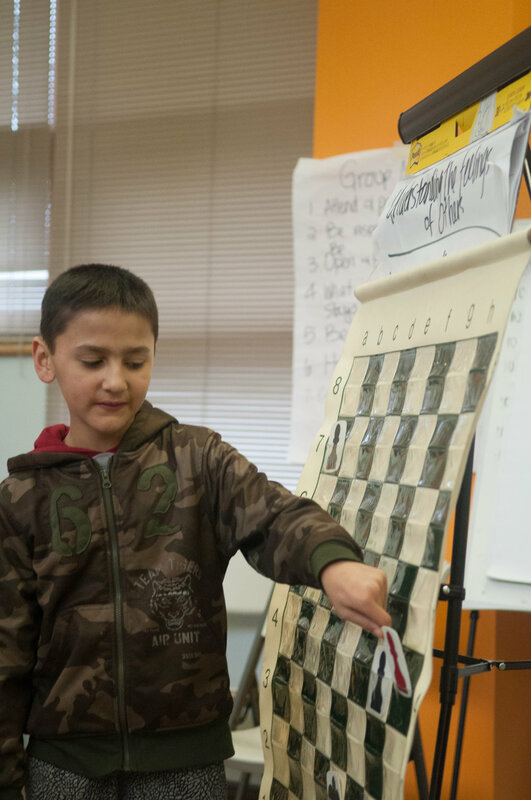 #5 - Juntos Aprendemos Expands and is Now in 10 Schools! #4 Latino Leaders elected statewide & Measure 98 victory! Latino Network has always been an advocacy organization and we continue to work to change policies and practices to ensure our communities are thriving. We also celebrated a victory for ballot measures Measure 98 and Yes for Affordable Homes! And this month, we celebrated the victory of Open and Accountable Elections passed by City Council to match small dollar campaign donations. Carmen Rubio attends a Yes on 98 rally with co-petitioners Toya Fink, Oregon Stand for Children Executive Director, and former Governor Ted Kulongoski. Read more about our advocacy victories here! #3 - 100% of Escalera seniors graduate! 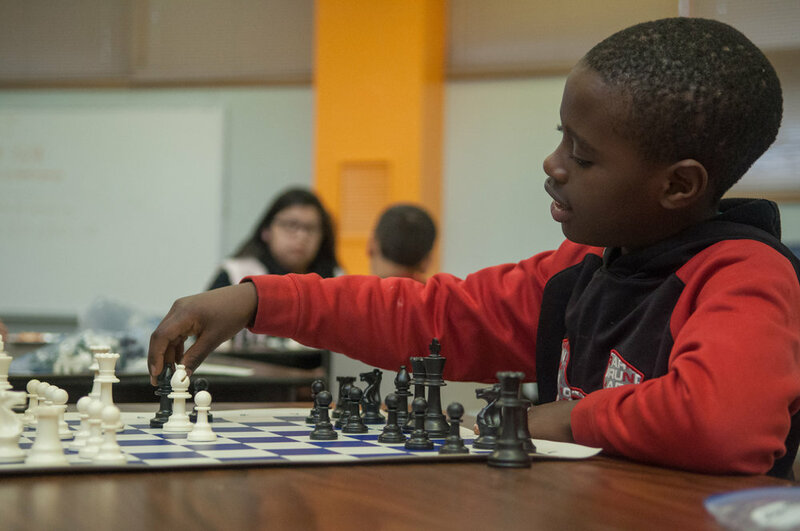 And our school-based programs expand! Congratulations to every one of our high school seniors in Escalera college prep program. They all worked so hard and successfully graduated in June! Today, they are all enrolled in college or apprenticeship programs, working toward their goals. 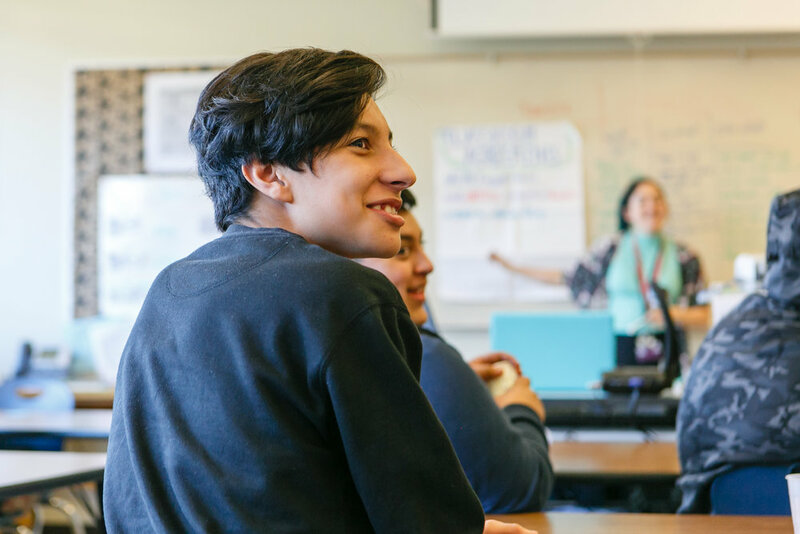 And with the help of Multnomah County Schools Uniting Neighborhood (SUN) Contract, we expanded our programs to serve more Latino youth & families. See our full list of schools here. Read more about the reward we received at this year's NCLR conference in Orlando! We could not do our work with all of you - as volunteers, donors, advocates, champions, and more! Thank you for working with us to make our Latino communities stronger and healthier. United we move forward to achieve our goals in 2017. Happy Holidays from the Latino Network Family! From our family to yours, we hope that you have a wonderful holiday full of love, giving, and laughter. Latino Network has certainly been busy this holiday season trying to spread the cheer around. From our Juntos Aprendemos Posadas to our Holiday Staff Party, our family has started off the holiday season with plenty of great memories! See our Facebook album for all of the photos! Some of our amazing staff members created a skit about Latino Network's mission for our staff party! This month has been surreal. We celebrated Oregon voters passing Measure 98 and Yes for Affordable Homes. And we are thrilled to see Latinos winning elections, including Teresa Alonso Leon and Diego Hernandez to the Oregon House and Melinda Veliz to the Woodburn City Council. We are also immensely proud to have our first U.S. Latina Senator from Nevada - Catherine Cortez Masto. At the same time, American voters made a choice to elect a President who has used harmful and divisive language that singles out Latinos, Muslims, immigrants, and other people of color. I have heard from many of our staff members and community members about the deep fear that exists within our communities. Many of us, our families, and people we know came to this country as immigrants seeking a better life. Leaving one's home to immigrate takes courage, strength, and a deep desire to seek something better for ourselves and our families. This same courage and strength will keep us all moving through the fear and prevent our communities from going back into the shadows. I'm asking all of you to find the deep belief of goodness and hope within yourself. This IS our work - we are here in this place and time with Latino children and adults to project, amplify, and reflect this goodness and reiliency and love of and for our beautiful Latino communities. There is a brighter tomorrow. We work for it when we work hard to pass measures like Measure 98. When we elect leaders who look like us and reflect our values. When we call for comprehensive immigration reform. When we fight racism, sexism, bigotry, and hate and replace it with love, resiliency, strength, and hope. There is a brighter tomorrow for our communities, and it begins with us. Latino Network Day @ Chipotle! It's coming soon - your favorite burrito place is partnering with Latino Network for a fantastic day of making a difference in our community! Eat at ANY Chipotle in Oregon or SW Washington and mention Latino Network on Tuesday, Oct. 25 and 50% of the profits go towards our programs! Whatever you do, mention us to the cashier and you'll be apart of this amazing effort to help Latinos throughout Oregon! Visit our Facebook event page and RSVP! 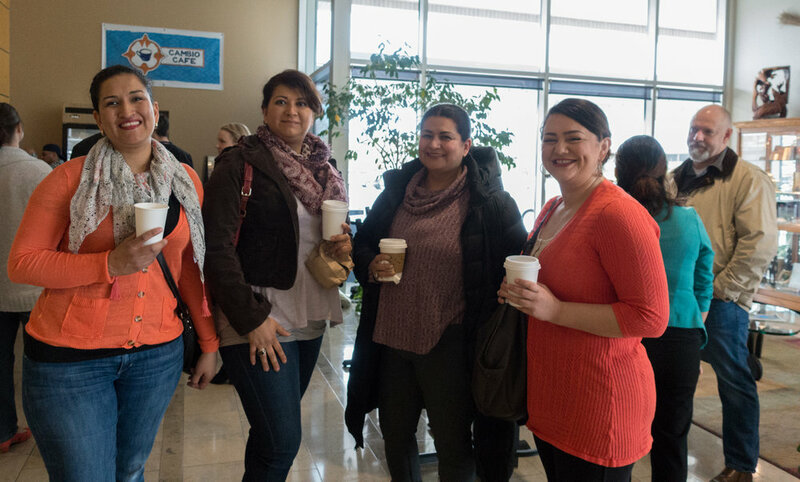 Unid@s is the Latino Network leadership development program that helps cultivate strong and connected leaders within the Latino community across Oregon. The goal of the program is to advance the voice and well being of all Latinos through increased leadership and advocacy. 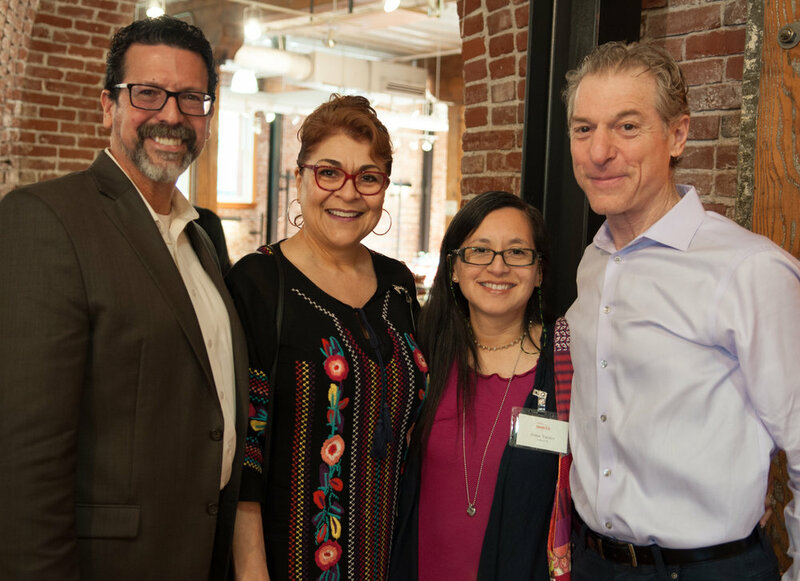 This year, we welcome the fifth cohort of Latino leaders from around the state of Oregon as they begin a yearlong exploration of leadership as a Latino/a. constructivist listening, supportive leadership and unlearning oppression, and understanding leadership oppression. The sessions are led by Nanci Luna Jimenez of Luna Jimenez Seminars. 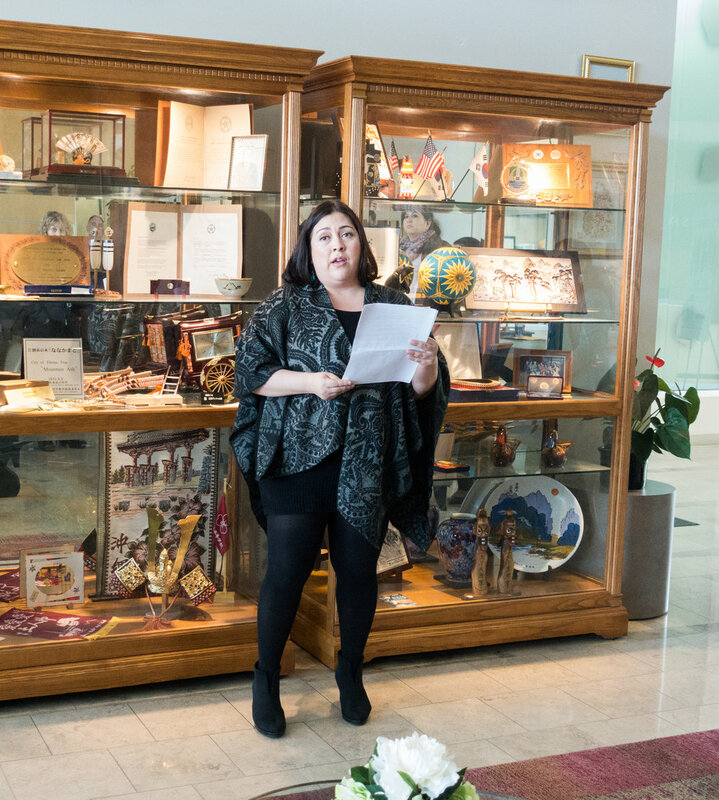 In a time when policy, leadership and advocacy closely relate to the well being of minorities in America, Unid@s aims to engage Latino leaders of all ages and help them become involved in advocating for the Latino community. Interested in learning more about the members of Unid@s Cohort V? Visit the Unid@s Cohort V webpage here.